Help diabetics take charge of their own care. 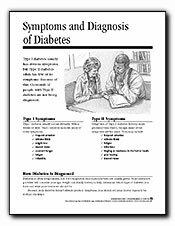 These copy-ready pages explain what diabetes is and what complications can occur. More importantly, it helps readers develop and maintain a realistic program for keeping blood sugar in the healthy range.